Falcon Ridge opened as a 9-hole course in 2004, then as a full 18-hole course in 2005. Falcon Ridge has bent grass greens with Bermuda fairways that are overseeded each fall with rye grass. The last four years the course has featured a sculpted look which is unique and showcases the beautiful architecture of the course. Falcon Ridge was designed by Kelby Hughes and Cresent Hardy. It is a privately owned, public course and a favorite for both locals and out of town groups. Falcon Ridge is built into the natural red cliffs of the Nevada desert landscape. It features elevated tees, water features, and crushed white quartz bunkers. Falcon Ridge has a beautiful club house that overlooks the golf course and has spectacular views of the city. 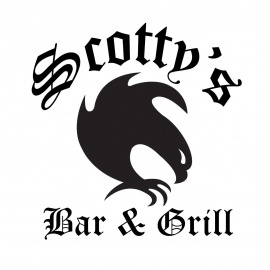 Scotty's Bar & Grill serves breakfast and lunch with a wrap around patio, full bar, 8 large televisions, and a private meeting room. 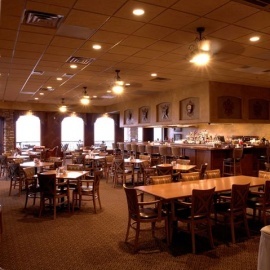 Falcon Ridge has been featured in many local and national publications. It was awarded top course in Mesquite by the locals two years in a row. Falcon Ridge started the Golf Fore Kids Charity tournament which brings $40,000-$50,000 annually in toys to local children for Christmas.